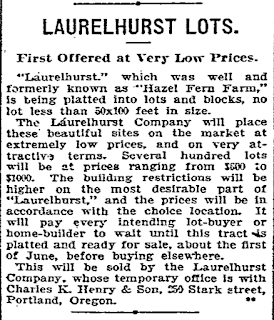 "Laurelhurst," which was well and formerly known as "Hazel Fern Farms," is being platted into lots and blocks, no lot less than 50x100 feet in size. 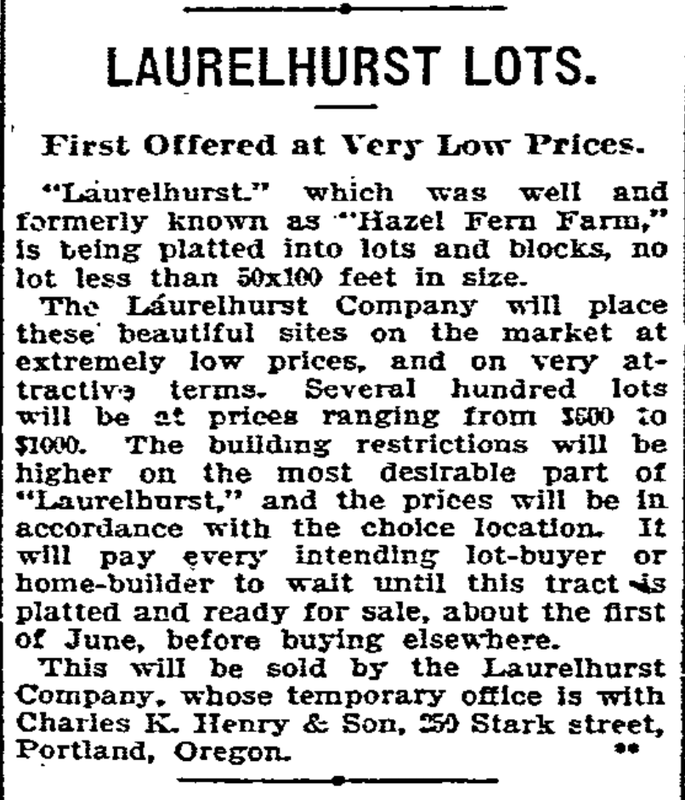 The Laurelhurst Company will place these beautiful sites on the market at extremely low prices, and on very attractive terms. Several hundred lots will be at prices ranging from $600 to $1000. The building restrictions will be higher on the most desirable part of "Laurelhurst," and the prices will be in accordance with the choice location. It will pay every intending lot buy or home-builder to wait until this tract is platted and ready for sale, about the first of June, before buying elsewhere. This will be sold by the Laurelhurst Company, whose temporary office is with Charles K. Henry & Son, 250 Stark Street, Portland Oregon.